Dr. Thomas Hubbard uses one of the most recent advancements in laser skin resurfacing in Virginia Beach: the Sciton Long Pulse Erbium Laser. Through a series of precise, computer controlled impulses, this sophisticated laser resurfacing technology removes top layers of the skin to create a smoother appearance with fewer wrinkles, fine lines, scars, and pigment abnormalities. The Erbium laser allows Dr. Hubbard to have a higher degree of control over individual settings to customize the power, heat, rate and depth of the laser. Dr. Hubbard will take the time to listen to your specific needs and customize a Virginia Beach laser skin resurfacing treatment that best meets your goals. 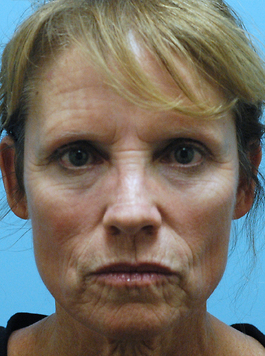 "Dr. Hubbard performed two facial procedures on me. One, a laser resurfacing; the second, surgery to remove skin cancer. I could not be more pleased with Dr. Hubbard, his staff and the results. Dr. Hubbard was highly professional, skilled and caring. He gave meticulous attention to detail before, during and after the procedures. I highly recommend him." Is Laser Skin Resurfacing for Me? Laser skin resurfacing can help people who want to eliminate much of their facial wrinkles and fine lines that are present at rest (when not smiling or squinting the eyes). People with acne scarring can also benefit from a laser treatment. This procedure is typically done using general anesthesia. The laser removes the top layers of skin and healing occurs in about 1-2 weeks. After this, the delicate regrowth of skin remains slightly pink usually from 1 to 2 months. Patients go home with an ointment covering the treatment areas. Those with fine wrinkles recover more quickly because the laser does not need to penetrate the tissues as deeply. Most people can return to work in 10 days. 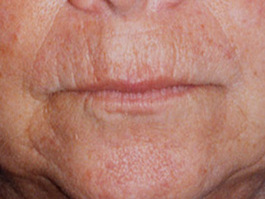 Deeper wrinkles such as those around the mouth require a deeper laser treatment to remove more layers of skin. Therefore, 2 weeks of recovery may be necessary. 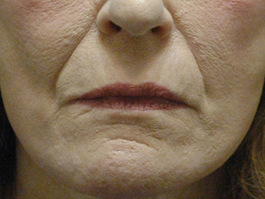 Makeup can be used to hide the pink discoloration during the initial months of recovery. Dermabrasion around the mouth can also provide excellent improvements and BOTOX® Cosmetic offers additional facial rejuvenation benefits. 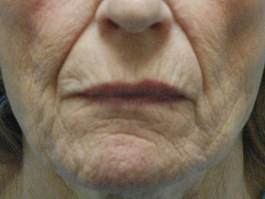 Facial wrinkles may also be improved with a face lift or brow lift. 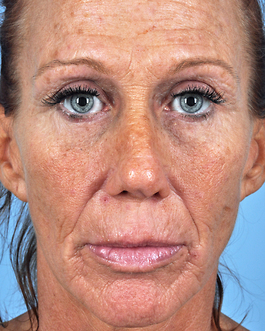 The Sciton Long Pulse Erbium Laser is the premier resurfacing treatment available today. 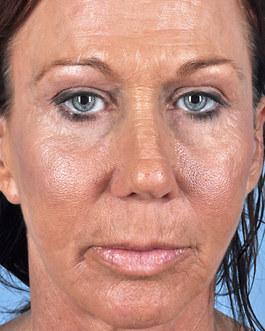 It is truly the state-of-the-art approach for facial resurfacing. While the CO2 laser in the 1990's produced nice results, it also required very prolonged healing and produced many complications. This technology was followed by the short pulse Erbium laser which had few complications but disappointing results. The long pulse Erbium laser clearly is the best of both worlds – producing dramatic improvements in fine lines, wrinkles, and some acne scarring and less recovery time. Loss of pigment to the resurfaced areas with this laser is very unusual. 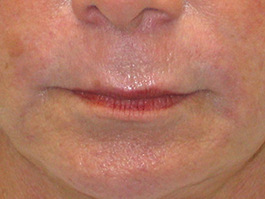 Swelling and redness resolve more quickly than the CO2 laser, and most patients can wear makeup again in 2 weeks. 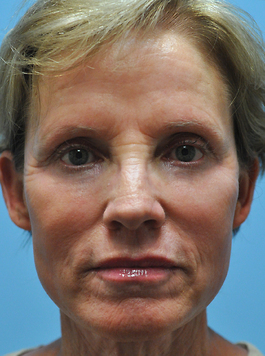 Please visit our photo gallery page to see examples of laser skin resurfacing results.